The lack of support from the French bishops is mainly illustrated by what I call the containment policy unofficially adopted to stall the implementation of Summorum Pontificum. If there are now a handful of dioceses left without a single official T.L.M., if the increase of the locations since 2007 has been noticeable (around 40%), we are still far behind to meet not the expectations but the actual official requests of the faithful. Not only in too many cases, bishops have retained the final decision, implementing … Ecclesia Dei adflicta of 1988, but very often they have the initial word before any pastor could use his right to decide. One parish pastor of Paris who took this liberty had to seek refuge in Bishop Rey’s diocese after his mandate was not renewed by the Cardinal-archbishop. In this regard, there is little change to be expected with the Instruction Ecclesiae universae (2011) because the containment policy is more subtle than a frontal opposition. After this grey picture of French Traditionalism, I want to offer a few words of conclusion with some encouraging elements. Amidst an ageing and rapidly declining cafeteria Catholicism, the « Tradiland » offers a younger face with numerous active lay people.... Traditional communities are in France, like everywhere else, a cradle for religious and priestly vocations. French liberal dioceses (ex. Poitiers) have become vocational deserts ; in Strasbourg, from around 40 seminarians less than ten years ago, we have now 14 and a single new one in first year. It is commonly estimated, based on the present stats, that traditional institutes will provide nearly 20% of French ordained priests around 2015. 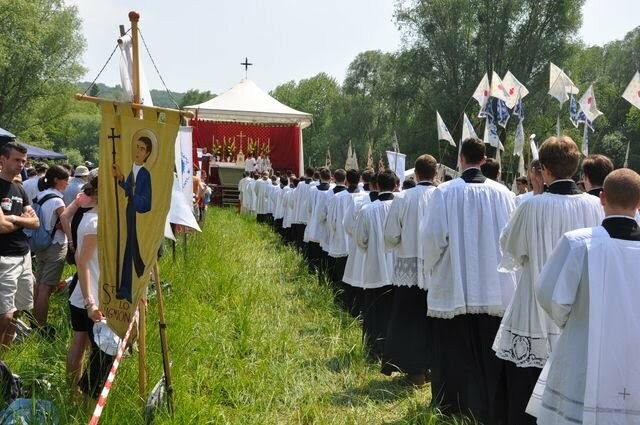 Moreover, when they are not pressured to quit, trad-oriented seminarians, if not traditionalist themselves, are a growing number in the surviving diocesan seminaries.